This post was written 6 years ago. This year, we started to send out a newsletter with news and information for German speakers in Bristol. (All in German language) In this edition, there's info about pre-Christmas activities of the German Saturday School and German Playgroup, as well as events involving members of these groups. Here's a link to newsletter no. 4. Applicants should ideally be German native speakers and have experience of teaching or working with children of nursery/primary-school age (3-10 years). Our children all have a bilingual background and we run the school to support their second language. We do not teach German as a foreign language for children. We are in particular looking to recruit a teacher for our class of 4-5 year olds and classes of 6-9 year olds, so we are looking for applicants with relevant training and experience in a nursery, early years or primary school environment. The school also needs teaching assistants to support the teacher's work in the class. This is a job with very limited hours as we are teaching on Saturday mornings between 10.00 and 12.00 am during term time only (24 Saturdays per year). Run by parents, the German Saturday School Bristol aims to support bilingual children in the development of their German language. It takes place for two hours on Saturday mornings during term-time. The teachers' and early years practitioners' main tasks are to design lesson plans for each term and to lead the lessons. The assistants' main tasks are to interact with the children, support their learning and encourage them to speak German. For more information about these posts please contact Daniela Gieseler-Higgs (dgh@texture-translations.com) or phone 0117 9533866. Email a CV plus a covering letter. Please phone if you want to ask any questions. Mit BHC-Mitglied Allie Dullington, in Bristol lebende deutsche Ballonfliegerin. Allie erzählt über Ballonfliegen in Georgien und Armenien, sowie in Venezuela mit Werner Herzog für eine ZDF/Arte- Fernsehproduktion. Es gibt deutschen und georgischen Wein. The Bristol Hannover Council's German Christmas Lecture will be held on Monday 10 December at 5.15 in Lecture Theatre 3 behind 17 Woodland Road. 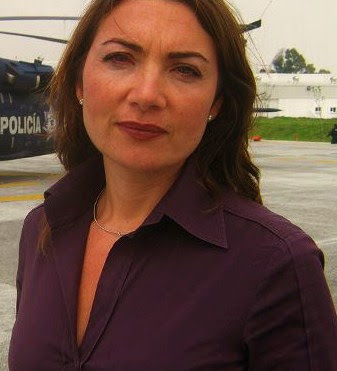 This year's speaker is the BBC foreign correspondent Katya Adler, who graduated from Bristol University with a degree in German and Italian in 1995. After graduating, Katya established herself as a journalist with ORF in Vienna and since 1998 has been a foreign correspondent with the BBC, based in Madrid and also reporting extensively from the Middle East. She is a regular presenter of HARDtalk. Katya's talk is provisionally entitled 'Being a war correspondent, a woman, a German and other preconceived ideas'. via Mark Allinson, Bristol Hannover Council executive member. 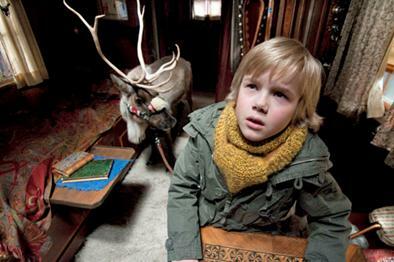 The Watershed is showing a German film from 14 to 20 December. On this site you can find information about events in Bristol that have to do with German language and culture of German-speaking countries.